Faith Leaders Across the Nation Unite for Criminal Justice Reform. End Mass Incarceration! 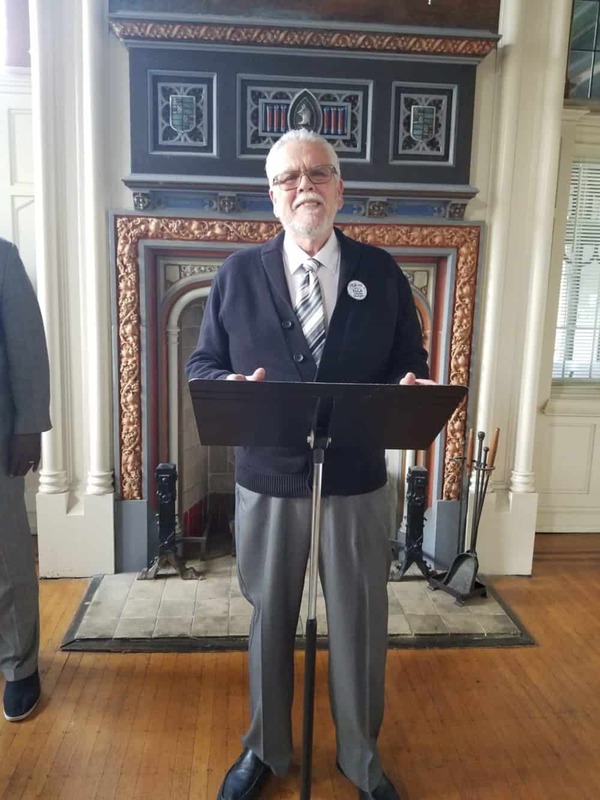 Atlanta, GA: As the nation celebrates the work of Dr. Martin Luther King, Jr. and at the opening of state legislative sessions, faith leaders from the Gamaliel Network are taking action in their cities and state capitols to promote public policies to dismantle the system of mass incarceration. In Atlanta, leaders are launching a multi-pronged campaign for restorative justice; in Madison, leaders are working to end “crimeless revocation of parole;” and in Jefferson City, leaders from St. Louis will be promoting “Raise the Age,” a policy which increases the age that a person can be automatically criminally charged as an adult from 17 to 18 years of age. Meanwhile, in Kansas City, leaders will hold a press conference to announce the plans of City Councilman Jermaine Reed to file an ordinance to expand the city’s “Ban the Box” policy, which removes criminal history questions off of applications. 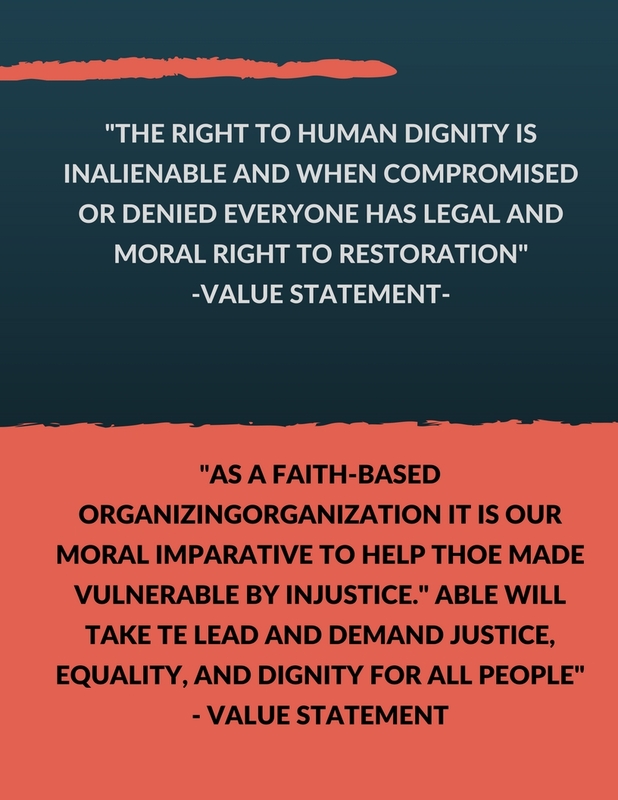 ABLE on January 17th will stand in solidarity with leaders across the nation taking action to promote equitably public policies to dismantle the mass incarceration within the criminal justice system. ABLE’s press conference will focus on launching a multi-pronged campaign for restorative justice such as the criminalization of traffic violations and inequitable fines and fees within the Georgia criminal justice system.